LTPD/CAPD series mechanisms free up critical design real estate. 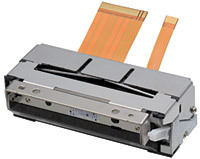 The new mechanisms provide a smaller overall form factor, innovative angled paper guide requiring less depth, and a smaller pitch flexible print circuit (FPC) cable. LTPD/CAPD series mechanisms are fast, rated for up to 100 mm/second print speeds. This gives mobile devices a much needed performance boost. LTPD/CAPD series mechanisms offer a wide array of form factor choices to provide versatility and flexibility for smoother integration. Options include EZ-OP clamshell-style and auto-loading models, ASIC and interface board solutions, and both horizontal and vertical mechanical orientation designs. 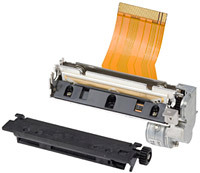 LTPD/CAPD series mechanisms offer a minimum of 50 km of total printing and 100 million pulses. CAPD models offer a new built-in auto-cutter design, improving cutter reliability. The result: reliable media output, every time.